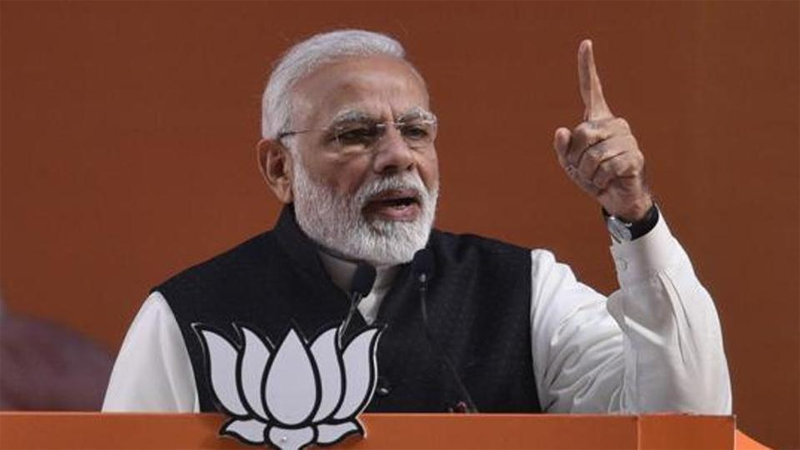 Prime Minister Shri Narendra Modi on 22 March, 2019 stepped up attack on the Congress after party leader Sam Pitroda sought more ‘facts’ related to the Indian Air Force strike at a terror camp in Pakistan’s Balakot. In a series of tweets, PM Shri Modi lashed out at the opposition alleging it has been insulting the armed forces. The PM said, “The most trusted advisor and guide of the Congress President has kick-started the Pakistan National Day celebrations on behalf of the Congress, ironically by demeaning India’s Armed Forces. Shame!” Pitroda, in an interview to news agency ANI, raised questions over the Balakot strike saying that international media did not agree with the claims made in India about the IAF action against terror camp in Pakistan. He also questioned the policy to launch air strike across the Line of Control. He said “you don’t jump on entire nation” if some terrorists target a place in India. Reacting to Pitroda’s comment, the PM said, “Opposition insults our forces time and again. I appeal to my fellow Indians- question Opposition leaders on their statements. Tell them- 130 crore Indians will not forgive or forget the Opposition for their antics. India stands firmly with our forces.” “Loyal courtier of Congress’ royal dynasty admits what the nation already knew- Congress was unwilling to respond to forces of terror. This is a New India- we will answer terrorists in a language they understand and with interest”. The Prime Minister also hit out at Samajwadi Party leader Ram Gopal Yadav, who said that Pulwama terror attack was a “conspiracy” in which “soldiers were killed for votes”. “Opposition is the natural habitat of terror apologists and questioners of our armed forces. This reprehensible statement by a senior leader like Ram Gopal Ji insults all those who have given their lives in protecting Kashmir. It humiliates the families of our martyrs,” PM Shri Modi wrote on Twitter. A CRPF convoy was targeted in a suicide bombing on February 14 in Jammu and Kashmir’s Pulwama killing 40 soldiers. Pakistan-based terror outfit Jaish-e-Mohammed claimed responsibility for the terror attack. On February 26, the IAF carried a strike at a terror camp, believed to be the biggest training centre of the Jaish-e-Mohammed in Pakistan’s Balakot. The IAF later said that the mission was “successful”. 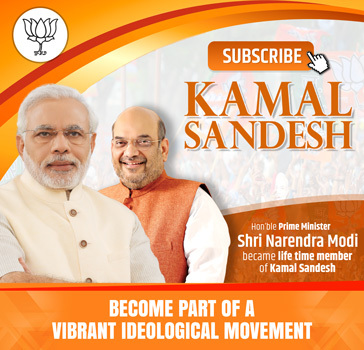 BJP National President Shri Amit Shah on 23 March, 2019 asked Congress president Rahul Gandhi to clear his party’s stand on Sam Pitroda’s comments on the Balkot air strike, saying the opposition party has “insulted” the sacrifice of soldiers and put a question mark on the nation’s security. Launching a fresh offensive against the Congress, Shri Shah said the opposition party is known for its “vote bank” and “appeasement” politics during elections, but Rahul Gandhi should answer whether it is above national interest and if such politics can be done over the grief of families of soldiers killed. The BJP President said the remarks of Sam Pitroda, a close confidant of the Gandhi family, conveyed that the Pulwama terror attack was a “routine” incident carried out by a few people for which Pakistan cannot be blamed. Mr Pitroda, he added, also questioned surgical strikes and air strikes launched by the Indian armed forces. “Does the Congress believe that terror incidents that happen in the country have nothing to do with the Pakistan government or Pakistan army?” Shri Shah asked, seeking Mr Gandhi’s response. The BJP President said the Congress has a habit of playing down such comments of its leaders as their individual opinions, but it never takes any action against them while, many of whom are close to Gandhi, he added. Noteworthy, Mr Pitroda, Indian Overseas Congress chief, had told media that one cannot “jump on entire nation” (Pakistan) just because some people from there “came here and attacked”.